Uber announced recently that it’s preparing to launch a flying taxis technology center in Paris. The center will facilitate the movement of people around the cities by flying them in and out. The firm is devoted to its Elevate program known as the Advanced Technologies Centre in Paris (ATCP) and plans to inject over $23.4 million into the project for a period of five years. The center is expected to open soon in the autumn. The move becomes the first attempt for the company to develop a site outside the US. The firm will partner with various companies including the École Polytechnique to contribute specified research activities. According to Eric Allison, Head of Aviation at Uber, the idea of launching Uber services was born in Paris and that’s why the company is considering Paris for its potential program of developing flying taxis products and services. Furthermore, France is a potential place for the project since there are plenty of world-class engineers and expertise. France is popular for producing high tech Artificial Intelligence (AI) graduates and it’s attracting foreign firms to the region. For instance, Google recently revealed its plans to build a deep learning team in France. Also, Facebook is planning a similar project in the country. The company intends to bring on board various groups of experts and researchers who will apply the most advance technologies to determine the dynamics of the unique transport systems. The company is working closely with the European regulators including the European Aviation Safety Agency (EASA) and other experts to develop the systems. However, Uber may not find it easy to penetrate France particularly in attracting potential graduates and researchers due to the negative publicity and pending court cases against the firm over various social conducts. For instance, Uber faces a cases of sexual harassment, and other unacceptable behavior. The latest development for Uber joins a list of sites owned by the company including the leading research centers in Toronto, Pittsburg and San Francisco centers. Currently, the company plans to focus on advancing its machine learning and simulation systems that will enable it control the flying taxis. The Paris research center would be used specifically for development of smart grids that will support the moving of flying fleets of electric transport both on the ground and in the air. 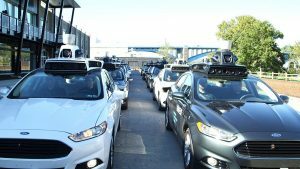 Uber recently discarded the idea of developing self-driving car testing following a fatal crash on one of its new autonomous vehicle.